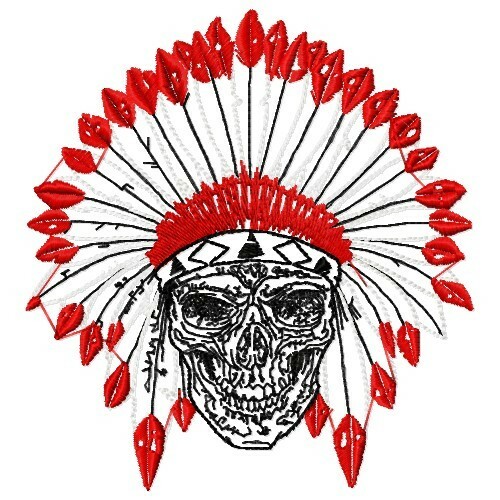 Give your spirit wear a fierce look with this awesome design of a skeleton Indian chief's head! Personalize with your player's name and number! Embroidery Stitches is happy to present Skeleton Indian Chief machine embroidery design which has 14383 stitches and is [109.47 mm x 117.35 mm] large. If you would like to view more embroidery patterns please search on our embroidery designs page.